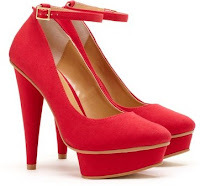 My favorite favorite FAVORITE shoe this month is the brightly colored Belinda Platform Pump. I absolutely need this pair. I'm sure I can find any excuse to wear these bold babies - even if it's just for a trip to the store for milk. I've been looking for another open toe bootie and these babies just might hit the spot. They're still colorful but toned down a shade or two so that they'll match any look day or night. 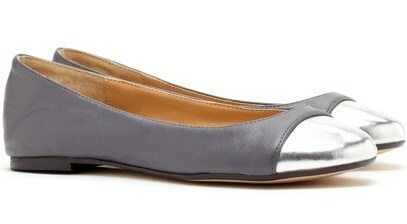 They also add a hint of edge from the metallic studs. Love! 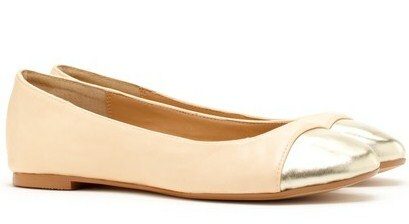 If you've been hidden under a rock then you're just now discovering how major the cap toe trend is. 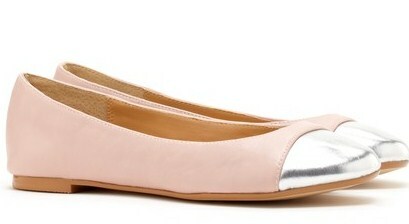 These leather like flats would be the perfect choice for work or play while staying fashion forward and comfortable. All three are great but I am loving Belinda the most. very designer looking! I cannot do one more online shopping website thingy...but looks like you found a good one!